Christmas is one of our family’s favorite times of the year. There are so many ways we can choose to decorate with the trends always changing. I love following style trends whether it be in clothing or decor. We don’t typically do Halloween in our house, so sometimes we even decorate for Christmas on Halloween! We usually try to make it a special night with some family togetherness. Unfortunately, now our daughter is older and is working this year, so our family time is changing already. For those of you in the midst of raising little people, it really does go that fast even if it feels endless right now! Last year we were living in my in-laws and didn’t get a chance to decorate for Christmas with our usual decor. Check out how we made Christmas super simple last year here. Needless to say, we were all super excited to decorate in our new home this year! I thought I would invite you to see what’s on trend before you decorate for your Christmas season. Here is a round-up of all the pretty Christmas color trends I am inspired by this year. Am I missing any fun trends? This trend is lovely. 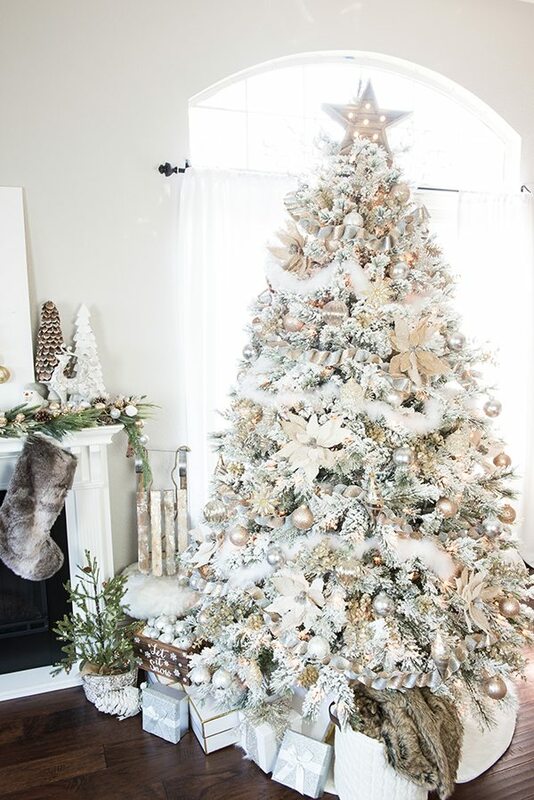 There are no fancy ribbons while letting the simplicity of the green tree and white ornaments shine. Seriously loving the plaid look right now! The trick to getting this look is the greenery to create warmth and depth to the stark color contrast. Wood is also an important element to create warmth for the space. I absolutely love the peaceful presence the all white feel by Centsational Style. Even the trees are white! There is no greenery here! Lots of textures are needed with this monochromatic pallet. The cozy blankets and textured stockings help to create layers of warmth. 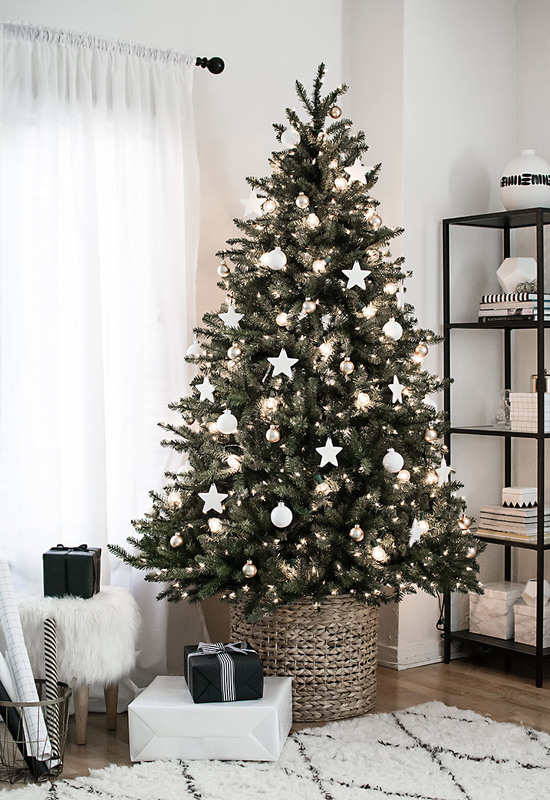 There isn’t even a tree topper but how lovely am farmhouse cozy this tree is. Elegant and powdery, this beautiful room is decorated by Craftberrybush. I am loving those copper mugs on the shelf! Now I am on the hunt for these beautiful copper mugs with a yummy ginger drink to enjoy. I feel like these mugs are a Christmas must this year! Sparkly and winter feeling, this is an elegant look for your home. An earthy farmhouse look from A pop of pretty blog. This tree rocks the red plaid. 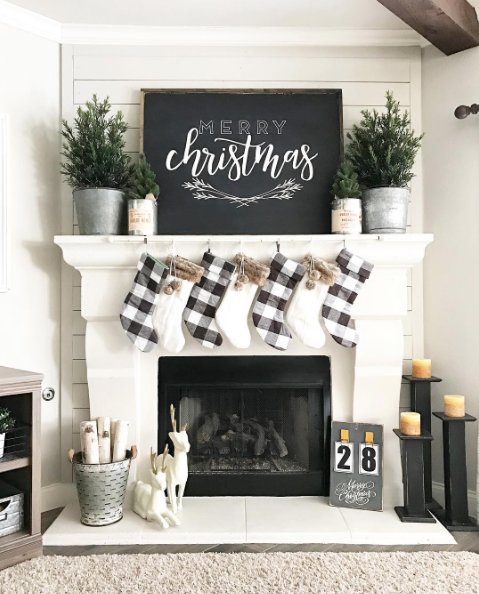 It even includes the popular black and white plaid along with some farmhouse fabrics. It even I think my fav is the merry banner across the front of the tree which makes it super creative. I would choose to keep the gold out as I like more of a clean look with the turquoise, but that would be a personal choice. With all these amazing choices, I just have to figure out the color theme I would like to go with this year. They are all so beautiful! I really love the simplicity of the plaid in my modern farmhouse! 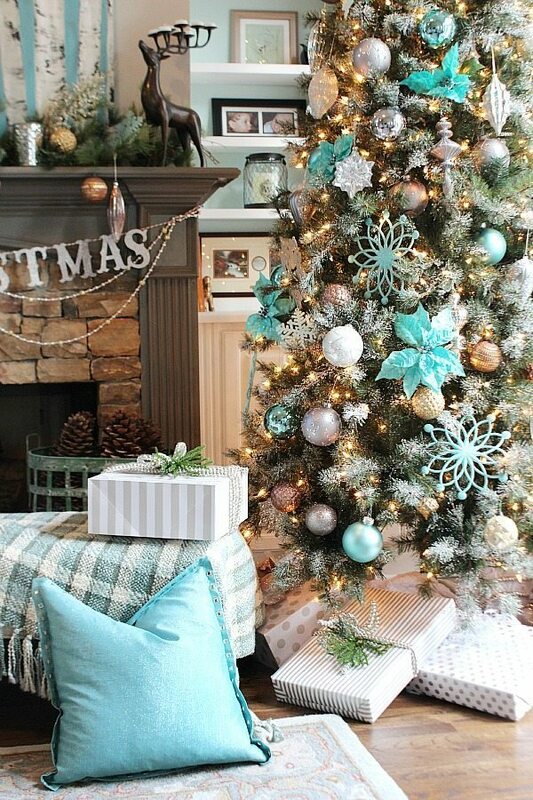 Honesty, most of my Christmas decor is turquoise though so I am not sure. Stay tuned by following me on Instagram! Which one would you choose? Pop your email below for more inspiring updates.